Oregon 750T handheld brings extra-sharp focus to your outdoor adventures with its preloaded topo U.S. 100K Maps, Birdseye satellite imagery subscription, Built-in 8 Megapixel autofocus camera and bright 3-inch touchscreen display. A redesigned antenna for GPS and GLONASS satellite reception ensures optimum tracking in challenging conditions. Plus, there’s support for Active weather forecasts and Animated overlays on the Map. Other highlights include a 3-axis compass, barometric altimeter, expanded wireless connectivity (Wi-Fi, Bluetooth, Ant+), automatic geocache downloads and more. 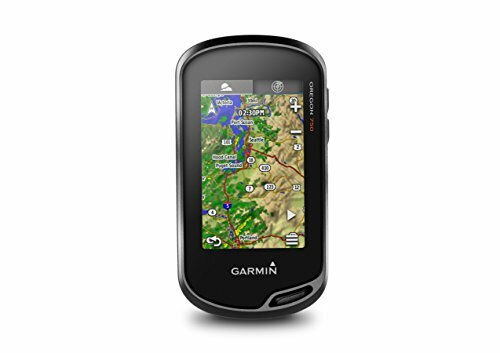 You can wirelessly download software, receive smart notifications, upload your adventures to our Garmin connect online community and even share your LiveTrack location data or geocache discoveries, unit-to-unit, with other Compatible devices.